Concurrent with increasing scholarly attention toward national children’s literatures, Contemporary English-language Indian Children’s Literature explores an emerging body of work that has thus far garnered little serious critical attention. Superle critically examines the ways Indian children’s writers have represented childhood in relation to the Indian nation, Indian cultural identity, and Indian girlhood. From a framework of postcolonial and feminist theories, children’s novels published between 1988 and 2008 in India are compared with those from the United Kingdom and North America from the same period, considering the differing ideologies and the current textual constructions of childhood at play in each. Broadly, Superle contends that over the past twenty years an aspirational view of childhood has developed in this literature—a view that positions children as powerful participants in the project of enabling positive social transformation. 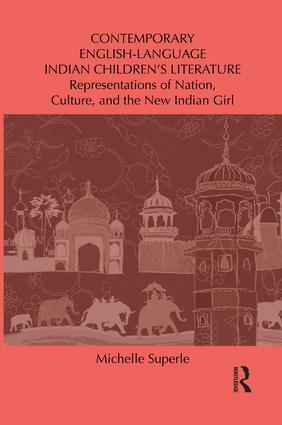 Her main argument, formed after recognizing several overarching thematic and structural patterns in more than one hundred texts, is that the novels comprise an aspirational literature with a transformative agenda: they imagine apparently empowered child characters who perform in diverse ways in the process of successfully creating and shaping the ideal Indian nation, their own well-adjusted bicultural identities in the diaspora, and/or their own empowered girlhoods. Michelle Superle is a Professor in the department of Communications at Okanagan College. She has taught children’s literature, composition, and creative writing courses at various Canadian universities and has published articles in Papers and IRCL.